Microsoft co-chair Bill Gates is once again the richest billionaire in the world, knocking Carlos Slim off the top spot on the Forbes rich list. 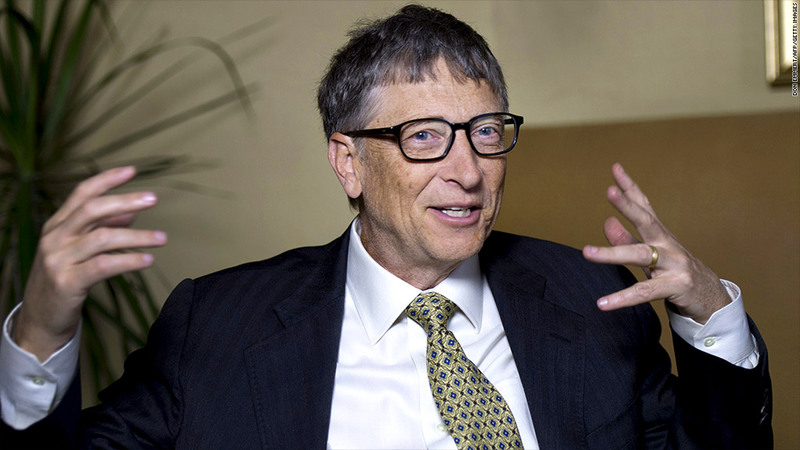 Bill Gates reclaimed the top spot on the Forbes rich list this year after a four-year hiatus, shoving aside Mexico's telecom tycoon Carlos Slim Helu. Microsoft's (MSFT) founder Gates was propelled to the top spot primarily because of a rally in the software company's stock, said Forbes, which published its annual list of the world's richest billionaires on Monday. Gates is now valued at $76 billion, compared to $67 billion last year, when he was No. 2 on the list. Slim built the bulk of his $72 billion fortune from his controlling interest in telecom company America Movil (AMX), which dominates the landline and mobile phone networks in Mexico. But he lost his four-year status as the world's richest billionaire because shares in his mining company Minera Frisco plunged more than 50% last year in tandem with prices of gold and copper, said Forbes. He is the only the billionaire in the top 10 to have lost money. Gates and Slim are followed by Spanish retail mogul Amancio Ortega, worth $64 billion, Berkshire Hathaway (BRKA) CEO and renowned investor Warren Buffett, at $58.2 billion, and Oracle (ORCL) founder Larry Ellison, $48 billion. The list goes on and on this year, because there are more billionaires than ever, according to Forbes. There are 1,645 billionaires, which is 268 more than the previous year. This is the largest annual increase of billionaires. There were also 42 new women billionaires, a record, for a total of 172. Facebook's COO and author of feminist manifesto "Lean In," Sheryl Sandberg, joined the billionaire's club for the first time. The richest woman in the world is Christy Walton, a member of WalMart (WMT) royalty with $36.7 billion. Her wealth got a substantial boost from last year's surge in First Solar (FSLR) stock which she inherited from her husband, John Walton, who died in a crash in 2005, according to Forbes. She occupies the ninth spot on the list, just ahead of another WalMart honcho, Jim Walton. Facebook co-founder Mark Zuckerberg made the biggest dollar gain on the list, gaining $15.2 billion from the prior year to reach $28.5 billion, propelled by a Facebook (FB) rally. Now he inhabits No. 21 on the list. The closely-watched rich list ran into some drama last year, when Saudi prince Alwaleed Bin Tala Alsaud dropped out of the top 20 ranking of billionaires. The chairman of investment services company Kingdom Holding disputed his No. 26 ranking, saying that he would sever all ties with the "false and inaccurate" Forbes list. The wealth of the Saudi prince edged up this year, to $20.4 billion from $20 billion. But his rank on the list slipped still further, to No. 30. This is because wealth, generally speaking, has been growing for the richest people on the planet. Altogether, the world's billionaires are worth $6.4 trillion, compared to a total of $5.4 trillion the year before, according to Forbes.